In this two-part class, you will learn everything that you need to know about building a PC. Basic computer knowledge required. Ages 13 and up. In the first part of this two-part class you will learn everything you need to know about building a computer. 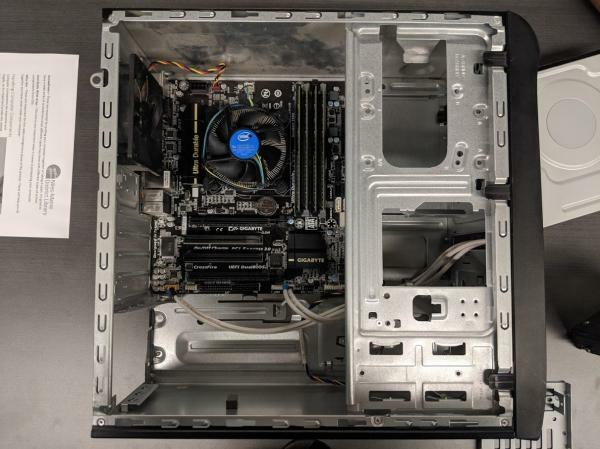 We will talk about figuring out a budget for building a PC, and how to build a computer that is tailored to your needs. Internal computer components, smart shopping skills, as well as proper recycling methods for older computers will be discussed. In the second part of this two-part class you will get a demonstration of how to put a computer together from scratch. Required building tools, computer maintenance, and safety procedures will be discussed.